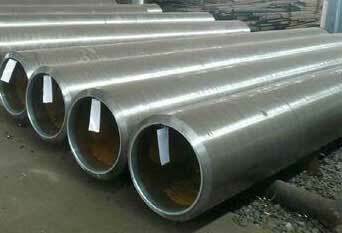 ISO Approved Supplier & Exporter of ASTM A335 Alloy Steel Seamless Pipes. Alloy Steel Seamless Pipe, ASTM A335 Alloy Steel Seamless Pipe, Alloy Steel A335 Grade P1 Pipes, A335 High Pressure PipeAlloy Steel Pipes, Alloy Steel P5 Seamless Pipes Manufacturers & Supplier in Mumbai, India. 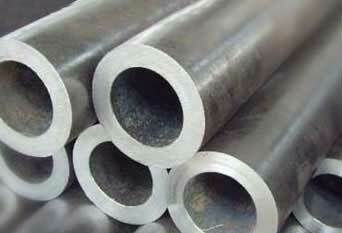 Piyush Steel is one of the most reputed Manufacturer and Exporter Alloy Steel traders in the Indian market. 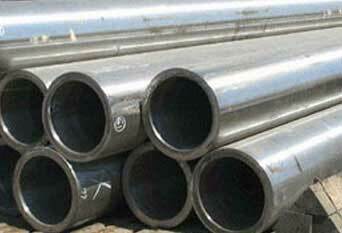 We offer ASTM A335 Grade P5, P9, P11, P22, P91 Pipes in different type of thickness, specification, shapes and dimensions. The most common use of grades ASTM A335 P11, ASTM A335 P22, and ASTM A335 P91 are in the power industry and petro-chemical plants, whereas Grades ASTM A335 P5 and ASTM A335 P9 are commonly used in refineries. Meanwhile, applications of ASTM A335 / ASME SA 335 P5, P9, P11, P22, P91 Seamless Pipes and Tubes are Industrial Boiler, Power Plants, Nuclear Plants, etc. Our ASME SA335 Grade P5-P9-P11-P22-P91 pipes are extensively used in different applications industry, and are being made up from refined technology along with better-quality grade of raw materials in the company of newest characteristics. We offer the same at market leading prices. 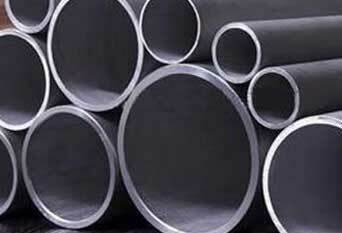 Schedule : SCH20, SCH30, SCH40, STD, SCH80, XS, SCH60, SCH80, SCH120, SCH140, SCH160, XXS, UPTO 4"
steel alloy boiler pipes, alloy steel pipes, alloy steel pipes specification, astm a335, p11 p22 p9 and p91 material, alloy steel pipe schedule chart, alloy steel pipe schedule, alloy steel pipes suppliers	, alloy steel seamless pipes hs code, alloy steel pipe manufacturers in korea, alloy steel and pipe, alloy steel pipe asme, alloy steel pipe astm a335, alloy steel pipes and tubes, alloy steel pipe distributors, alloy steel pipe definition, alloy steel pipe dimensions, alloy steel pipe dealers in mumbai, low alloy steel pipe grades, alloy steel pipes grades, alloy steel pipe weight chart, alloy steel pipe manufacturers in china, alloy steel pipe material, alloy steel pipes manufacturers india, alloy steel pipes manufacturers, alloy steel pipe p91, alloy steel pipe price list, alloy steel pipe p5, alloy steel pipe price, alloy steel pipes, alloy steel pipe thickness chart, alloy steel pipe thickness, alloy steel pipe chemical composition, alloy steel pipe manufacturers europe, alloy steel pipe stockist europe, low alloy steel pipes, chemical composition of alloy steel pipes, manufacturer of alloy steel pipes, alloy steel pipe, alloy steel pipe grades.